This afternoon I was doing the weekly wash. And what has that to do with BSH, you ask? 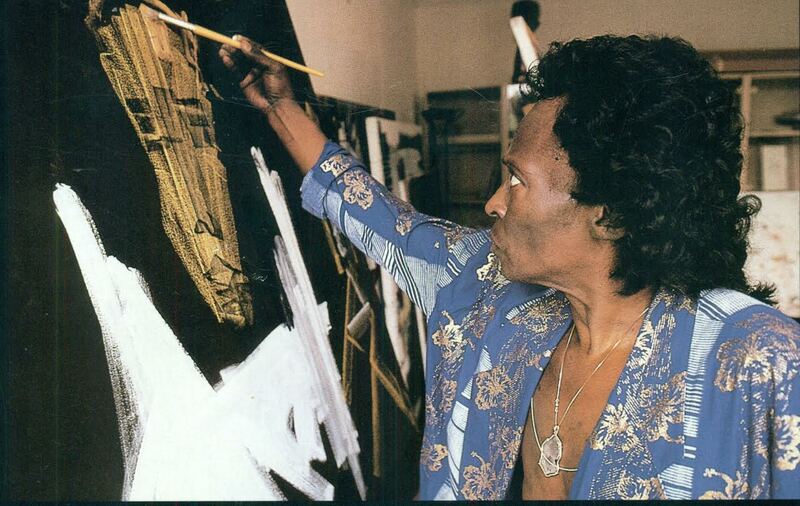 Well, I was tuned to Radio 4 as usual, and by chance ,I caught a 30-minute item all about how Miles Davis took up art in later life. He was taught by a woman artist with whom he had a close relationship until his death and he proved to be talented, with the same ideas about mixing and blending and the same eye (ear) for detail that he brought to his music, and the same experimental skills. And all this was accompanied by his sublime music. I saw an exhibition of his paintings in Manchester. I have a programme somewhere which I must dig out. I too visited the exhibition of Davis’ paintings at The Gallery: Manchester’s Art House. The Portland Street gallery hosted the European premiere of the trumpeter’s art work in November 1994. 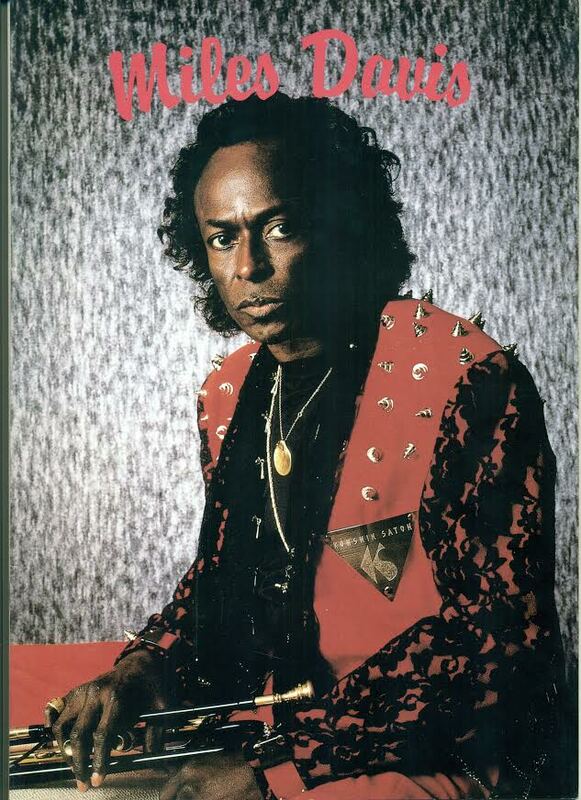 The exhibition catalogue’s front cover features a portrait of an angelic looking Miles. The back cover sees our hero in the (painter’s) studio. One of the works on show – Roots – was going for £25,000. I’d forgotten my cheque book. Front and back cover, sent by Russell, now added to Ann's original post.